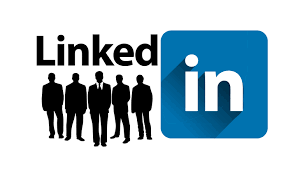 LinkedIn is a professional major social networking website used by 450 million business professionals and is responsible for more than 80% of business’s social media leads. Since LinkedIn is a big part of social media strategy and is focused on b2b connections. 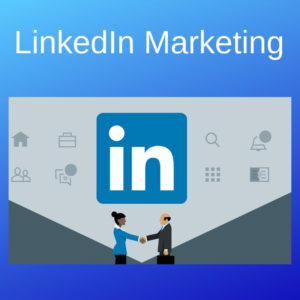 Besides that, LinkedIn is a great platform for making connections to generating leads, creating better brand awareness and for making connections to generate leads rather than for professionals and job seekers. LinkedIn marketing strategy makes a valuable addition to digital marketing. It is a professional social network and its all about the career development, industry discussions, professional connections, and other business-related activities. Moreover, In LinkedIn, one can find a different audience and it requires the different type of approach to get the results you want. With LinkedIn, you can connect your brand with more than 450 million professionals across the globe. Here are the tips that help you to engage the audience and to grow business using the best LinkedIn marketing strategy. Tips to grow your business using LinkedIn. 1. Create best and attractive LinkedIn profile. Profiles are where first impressions are formed. LinkedIn profile and the profiles of everyone else at the company are the peaks that come together to form mountain range and is your brand. Check how to impress the profile viewers. Complete the profiles, optimize profile over time, adding new skills, achievements etc. 2. Create an effective LinkedIn Company Page. LinkedIn’s company page offers good opportunities for the customers to learn about the company, people who work there, engage with relevant content. Therefore, Find out more tips to manage effective LinkedIn Company Page. Get started with marketing on LinkedIn by creating the Company page for business. 3. Optimize Company Page for Search. Effective Company page has one thing in common: the audience. Two tips help you build your audience on LinkedIn are following. First, optimize Company page for search. When the audience is searching on LinkedIn or Off, well-optimized Company page helps you to gain visibility among the people searching. Incorporate keywords to company profile information. I, you are not sure about the keywords, think about it in a way: what words, phrases a potential customer use when the search for product or service? One of the ways to improve ranking among the search results is to share relevant content. So, when you publish updates from the Company page they appear on the public page, allows the content to be indexed by Google. For this, Frequently share content with followers to whom you engage with, higher Company page will appear in search results. Creating links to the Company page is essential for boosting the ranking in search. One of the easy way to link to the Company page from website, blog and other marketing materials. Another easy win method is to make sure the LinkedIn profiles of employees and colleagues are up to date. The employee can add the company to their work experience, then a link is created in the Company page. This practice is a good LinkedIn marketing strategy. One of the best ways to improve the ranking and search results is to share the content regularly. When you publish updates from your company page they appear on the public page, that allows your content is indexed by Google. More frequently you share content your followers engage with, higher your Company page will appear in search results. 5. Add Company Page Followers. Start with employees: Employees are the biggest advocates and are likely to share the content with their networks. Promote Company page outside the Company: Invite customers and other partners to become followers. Promote company page in emails, newsletters and blog posts, encouraging readers to become followers. 6. Publish Engaging Content in The Company Page. One important common LinkedIn marketing strategy is to publish content that your target audience finds interesting. Clicks, shares, comments are all good indicators of engaging content. Publish and promote your own content, also it is a good idea to share healthy and inspiring content of others to so that you can provide insightful content with your followers. i. Product-level leadership: Centered on being the best solution for customers. iii. Industry level leadership: Share perspective news and trends. 7. Make use of rich media to increase Company Page Engagement. Images are more attractive and brain process images faster than text, make sense that posts with images over six times more engagement than text-only content. Cater audience for visual content by adding images, YouTube videos and slide share presentations to your updates. Publish updates that receive high engagement from target audience that aligns with the marketing goals. Because, there is a way to sponsoring the update via Sponsored Content on LinkedIn. Sponsored content is best and native advertising on LinkedIn. It allows you to promote the content directly in LinkedIn feeds of professional that you want to reach on LinkedIn. How to make use of sponsored content? Attract followers by getting Company page updates in front of more people. Use targeting options to reach just the right audience. Use direct sponsored content to test variations of the messaging. Track number of leads you are getting from ads with conversion tracking. 9. Create LinkedIn Ad Campaigns to drive marketing goals. Along with sponsored content, the two additional ways to advertise on LinkedIn self-service ads and managed campaigns. Different ways of advertising options include advanced ad targeting, sponsored content, text ads, sponsored Inmail, display ads, dynamic ads, account-based marketing. Therefore, Along with setting up the Company page, it is important to define the goal of the ad campaign to raise awareness, to build relationships, drive leads. To monitor and optimize free campaign performance, there is LinkedIn Company Page Analytics along with analytics for publishing on LinkedIn. Moreover, Improve paid campaign performance with the help from LinkedIn campaign Manager analytics along with conversion tracking. 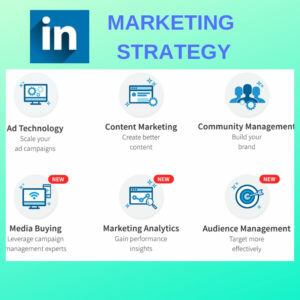 These are some tips and ideas about LinkedIn marketing strategy. How To Gain More Traffic From YouTube?